As Vice President Investments for Core5, Rodney leads all marketing and leasing efforts for speculative buildings and build-to-suit projects in the Southeastern United States. Principal duties consist of marketing, leasing and property management oversight, including procurement and management of third party broker and property management relationships. Rodney is a 25+ year real estate veteran whose professional areas of expertise include leasing, asset management, property management and dispositions for both third party and company-owned assets. His recent career achievements include founding the Atlanta Industrial Agency Practice Group for Jones Lang LaSalle, a global real estate services company, where he served as Vice President Industrial. 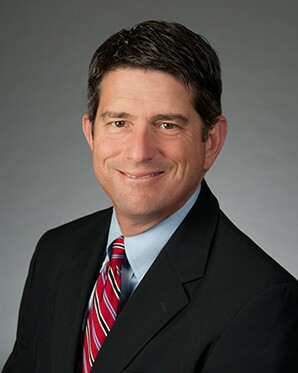 Prior to joining JLL, he spent 16 years with Prologis as First Vice President, Market Officer with oversight of their 19 million-square-foot Atlanta portfolio. Rodney holds a Bachelor of Business Administration from Stephen F. Austin State University. He is an active member of the Atlanta Commercial Board of Realtors (ACBR) and the National Association of Industrial and Office Properties (NAIOP). He maintains an active real estate license in Georgia. When Rodney’s not busy with real estate endeavors, he builds houses with Habitat for Humanity and is involved with Special Olympics of Georgia.